Lee Hwi-hyang is a South Korean actress born on October 1, 1960. The 57 year old actress made her way to the South Korean entertainment industry in 1981, when she joined the Miss MBC beauty pageant. In the following year, she successfully made her acting debut by acting in Chief Inspector. Before debuting as an actress, she graduated from Seoul Institute of the Arts majoring in Theater. She is best known for television dramas such as Love and Ambition (1987), Forget Tomorrow (1988), Ambitious Times (1990), and The Beginning of Happiness (1996). Her height is 166 cm, and she weights in at 50 kg. Her blood type is known to be O. Lee Hwi-hyang is currently single, but she has been in a marriage before. She was married to Kim Du-jo from 1983 until their divorce in 2005. Check out these lists below of Lee Hwi-hyang’s drama series and movies! Here is a complete list of all Lee Hwi-hyang’s drama series from 1982 until the most recent one. Check it out! Here is a list of all of Lee Hwi-hyang’s movies, along with a little synopsis of each one. Check it out! This crime movie was released on July 10, 2014 in South Korea. 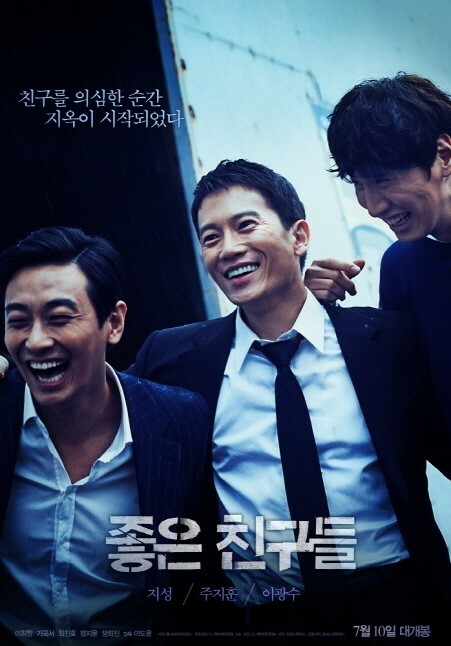 The movie tells the story of three men, Hyun-Tae who has a strong sense for justice, In-Chul who is known to be a swidler, and Min-Soo who relies on his two good friends like family. They have been friends since their school days. They do something, believing it would be nice, but that act eventually connects to them a crime which causes their friendship to end. This movie was both directed and written by Lee Do-Yoon. In this movie Lee Hwi-yang plays as Hyun-Tae’s mother. In My End is My Beginning is a romance movie with a little twist of its portrayal of a lesbian relationship. This movie tells the story of Jung-Ha, who recently just lost her husband in an accident, but then she finds out that all this time, her husband had been two timing her with her friend Na-Roo. Later Na-roo begs for Jung-Ha’s forgiveness and begs her to let her live with her, and that is where their relationship starts. In the movie Lee Hwi-hyang plays the role of Jung-Ha’s mother. This romance movie was released on April 4, 2013 and directed by director Min Kyu-Dong also written by him, Park Sun, Kim Sun-Hyoun, and Jung Sam-Sung.